MOSHIMOSHI NIPPON Ep. 02 | jibtv.com | Japan International Broadcasting Inc. The keyword of the day is W for Wagashi! 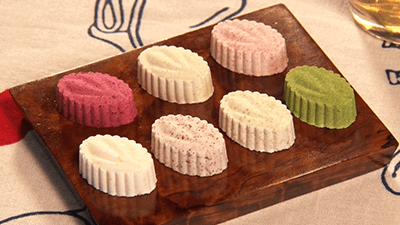 Traditional Japanese sweets, known as wagashi, have evolved by getting inspired by other cultures over the years. 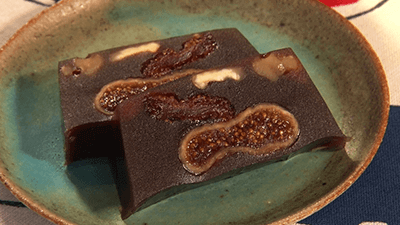 Japanese learned good things about imported overseas desserts by celebrating them as a new kind of food, not just as sweets, and came up with their own versions that are far more advanced to be simply called a copy. Wagashi is not only tasteful but also appealing to eyes as its appearance reflects the passion of the patisserie. A group named "wagashi asobi" (literally meaning, "play with wagashi") appreciates the tradition, and continues to create a new wagashi that reflects the modern world by thinking outside the box. Joel, a French journalist who works at Europe’s biggest media group RTL, talks about his favorites! He likes echinus, tofu and Kabuki. In this segment, he talks about his experience at a traditional tofu store. In this segment, he talks about his views on Japanese pop culture and spreads it to the world. The theme of today’s episode is "Toys". The pop culture professor talks about Japanese toys, which have been fascinating both children and adults for generations.